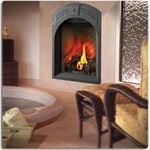 Products to fit all Gas Fireplace needs including: Direct Vent, B-Vent, and Vent Free Gas Fireplaces. Available in Natural Gas and Propane Units. Zero Clearance Built In, and Wall Hanging Units. 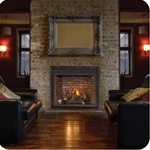 Offering traditional and contemporary Gas Fireplaces, including arched and clean face options to fit all decor styles.